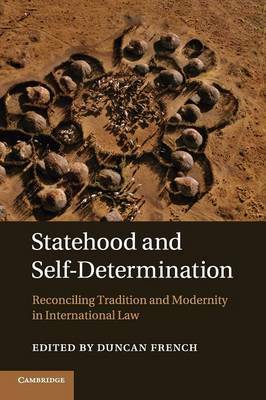 The concepts of statehood and self-determination provide the normative structure on which the international legal order is ultimately premised. As a system of law founded upon the issue of territorial control, ascertaining and determining which entities are entitled to the privileges of statehood continues to be one of the most difficult and complex issues. Moreover, although the process of decolonisation is almost complete, the principle of self-determination has raised new challenges for the metropolitan territories of established states, including the extent to which 'internal' self-determination guarantees additional rights for minority and other groups. As the controversies surrounding remedial secession have revealed, the territorial integrity of a state can be questioned if there are serious and persistent breaches of a people's human rights. This volume brings together such debates to reflect further on the current state of international law regarding these fundamental issues.